Whether you’re in the shop working on the car, or you’re sitting at the kitchen table putting together your plans, having enough light to see what you’re doing is critical. To ensure the best lighting possible, look for OSCAAR drivers and teams to get in contact with Living Lighting as the company has been named the title sponsor for the OSCAAR Pro Sprints. Since 1968, Living Lighting has been offering practical solutions, expert advice, and personalized service. No matter where you go to see them, they have many options for you to choose from, from the hottest new styles to perennial favourites in a variety of price ranges. Some of their items include classic chandeliers, contemporary shades, and LED Bulbs. Notably, their 16 locations across Ontario make them the largest franchised chain of residential lighting in Canada, and easily accessible from wherever you are located in the province. Be sure to check out their website at http://www.livinglighting.com to find a franchise location near you, while following them on your favourite social media channel to keep up with the latest news. This exciting announcement marks a landmark moment for OSCAAR, as all three divisions will have title sponsors for the 2019 campaign. 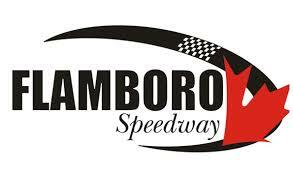 We hope fans are looking forward to seeing the action that the Queenston Modifieds, Knightworks Design Hot Rods, and Living Lighting Pro Sprints have to offer in the season to come.